This book is open access under a CC BY-NC-ND license. 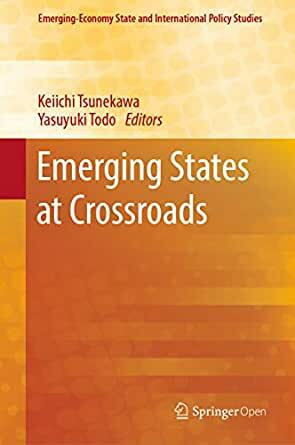 This volume analyzes the economic, social, and political challenges that emerging states confront today. Notwithstanding the growing importance of the ‘emerging states’ in global affairs and governance, many problems requiring immediate solutions have emerged at home largely as a consequence of the rapid economic development and associated sociopolitical changes. The middle-income trap is a major economic challenge faced by emerging states. This volume regards interest coordination for technological upgrading as crucial to avoid the trap and examines how various emerging states are grappling with this challenge by fostering public-private cooperation, voluntary associations of market players, and/or social networks. Social disparity is another serious problem. It is deeply rooted in history in the emerging states such as South Africa and many Latin American countries. However, income distribution is recently deteriorating even in East Asia that was once praised for its high economic growth with equity. Increasing pressure for political opening is another challenge for emerging states. This volume argues that the economic, social, and political problems are interwoven in the sense that the emerging states need to build political consensus in order to tackle the economic and social difficulties. Democratic institutions have not always been successful in this respect. Keiichi Tsunekawa is Visiting Professor of the National Graduate Institute for Policy Studies (GRIPS) and Yasuyuki Todo is Professor of Economics, Waseda University.